When patients think of “holistic” health care, they likely imagine things like acupuncture or burning incense. Holistic treatment plans actually focus on the effects of any one health care service on the entire body. Holistic oral hygiene and health options consider how caring for your smile will impact your whole body health. Two holistic oral health treatments we promote are nonfluoridated toothpastes and wax free lip moisturizers. Both of these preventive services take into consideration the effects fluoride and other chemicals have on a patient’s health and wellbeing. Fluoride is the only cavity preventing ingredient recognized by the US Food and Drug Administration. Thus, most practices recommend fluoridated toothpastes. However, on each tube of toothpaste alongside the FDA seal, you’ll also see a poison control warning. When ingested, fluoride can be highly toxic. In response to patients’ desire to find nontoxic options, some dentists and oral health care companies have started conducting research to find effective alternatives. The Miracle Propolis Toothpaste uses tea tree oil, hydrated silica, and xylitol. With no fluoride, foaming agents, artificial colors or flavors, or preservatives, this toothpaste naturally removes plaque, prevents bacteria and plaque from adhering to teeth, and attracts nutrients that help remineralize the tooth enamel. Essential oils are used to give this toothpaste minty fresh flavor and scent without using petrochemicals to recreate these flavors. You won’t find a poison control warning on the label of these nontoxic toothpastes, and studies indicate that patients who use Miracle Propolis Toothpaste significantly decrease risk for gum disease as well as achieving complete healing following dental procedures. Most lip balms contain wax and alcohol. Both of these ingredients dry out lips. Wax can be especially bad for your lips, since it creates a layer over the surface rather than moisturizing the skin. Additionally, this wax layer can trap bacteria leading to further breakdown of skin cells and continued dry, chapped lips. 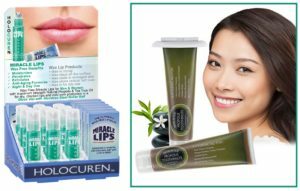 Instead of wax, alcohol, and other drying agents, the Miracle Lips products use natural tea tree oil and propolis crystals to exfoliate and rehydrate dry, cracked lips. Tea tree oil also has antiviral and antibacterial agents that make it beneficial for use to speed the healing of cold sores, rashes, and cuts on lips. The Parkway Vista Dental team is dedicated to giving patients more reasons to smile. Our Plano dentist and team are passionate about partnering with patients to ensure their smiles and whole bodies are healthy. If you want to find out more, come back to read our blog regularly. We’ll share updates concerning community involvement as well as telling you more about some of the dental services we provide. 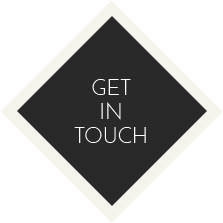 Please don’t hesitate to call our team any time you have questions. We’re always here to help.